The just concluded ANA World’s Fair of Money was considered a success by most standards. The thousands of dealers and collectors who attended were kept busy with exhibits, seminars, and an active bourse. With the metals ramping up in the last week, the level of confidence seems to have increased as well. There were numerous awards presented throughout the show for dealers who have offered so much of their time to numismatics. PNG presented the Lifetime Achievement Award to Jeff Garrett who was also sworn in as the new President of the ANA. ANA also presented its highest honor to Donn Pearlman; the Farran Zerbe Award. Donn is paramount to the coin industry as he makes sure we are getting maximum publicity through national media coverage. For additional award coverage please check out the ANA website. 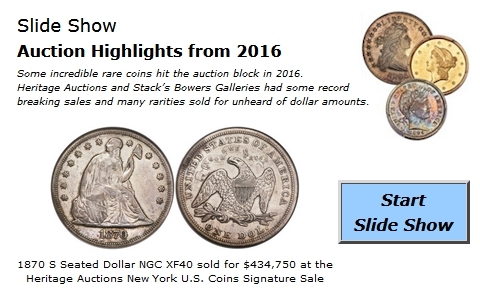 As for the auctions held by Heritage Auctions and Stack’s Bowers Galleries, both companies reported a wide range of activity in all areas of the two sales. Low pop rarities are the main attractions in any major sale and these auctions had plenty from which to choose. One of the more exciting segments of the Heritage Auction was Platinum Night. With so many rarities to choose from we decided to highlight the Dr. Steven Duckor Family Collection of Gold Dollars. 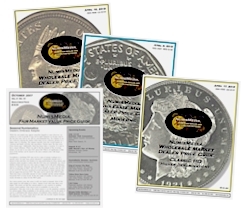 There were a total of 54 coins in this collection, of which, all were certified by PCGS and approved by CAC, and quite a few of them also had the + designation. The collection brought a total of $1,912,267. To say this was a premium quality set of Gold Dollars does not do it justice. According to PCGS the average grade of this set is 67.14. There were so many phenomenal coins in this set that choosing a specific highlight is difficult. The 1855 D in PCGS MS64 CAC sold for $164,500. This date had an original mintage of just 1,811 and there are only 99 coins certified by PCGS and NGC total. There are none grading higher than this MS64. Also sold from this collection was an 1875 in PCGS MS66 CAC; the original mintage was only 420 and there are just 84 certified in all grades. This is one of four certified in MS66 with none higher. Either of these coins would make a great addition to any collection. In fact, the majority of the coins in this Gold Dollar collection would increase the value of just about any set. Below are some of the other many highlights from the Heritage Auction. We will report on the Stack’s Bowers sale next week. 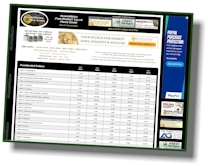 In this week’s LD Wholesale Market Dealer Price Guide there are hundreds of adjustments to the charts. While there are many increases for better date coins throughout, the market for the more common coins is drifting slightly. Many dealers at ANA were quick to realize that they needed to reduce their prices about 10% in order to make much of their common inventory liquid. While Three Cent Silver and Three Cent Nickel coins are showing a lot of advances for specific coins, there are just as many that have fallen in the last few weeks. Strick eye appeal is required in order to sell in this market.